When the City of Gallatin was born some 200 years ago, it had a much different look than it does today. 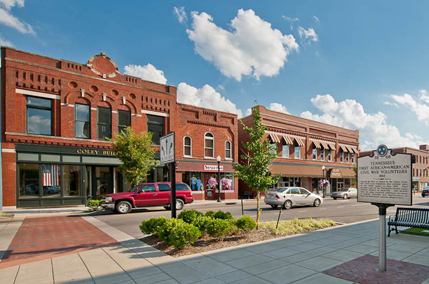 Based on the recent Census, Gallatin is now a community of more than 30,000 residents. Gallatin is in a very desirable location – close proximity to Nashville, good roads, an abundance of water, and a low tax rate. Founded in 1802 and is located 25 miles north of Nashville and sits on both Old Hickory Lake and the Cumberland River which provide lots of opportunities for fishing, boating and other water sports. The City’s Long Hollow Golf Course and Civic Center along with numerous City parks and ball fields attract visitors and tournaments from across the country and North America.